Two of the three surviving members of Soundgarden — guitarist Kim Thayil and drummer Matt Cameron — reunited over the summer for Denmark’s Northside festival as part of the MC5 supergroup, but does this mean a Soundgarden reunion is at all in the works? While band members say there are no immediate plans for a Soundgarden jam session with bass player Ben Shepherd, Cameron says they’re open to it. For now, they’re still processing the loss of their longtime frontman, Chris Cornell, who died last year. “On a personal level. We haven’t even gotten a chance to hang out, just us three, yet. … We’re going through natural healing, then thinking about the natural next step,” Shepherd added. Over the weekend, Cameron, Thayil and Shepherd attended a ceremony revealing a commemorative Chris Cornell statue at the Museum of Pop Culture (MoPOP) in Seattle. Cornell’s wife, Vicky, commissioned and donated the life-size statue to the museum, and the statue will be placed outside MoPOP’s south entrance facing Fifth Avenue North. The statue, which was created by artist Nick Marras, features Cornell in one of his signature stances with his famed boots, dog tag, layers and flowing hair. After the statue unveiling, the event featured a special screening of a 2013 Soundgarden show at The Wiltern, filmed by the Artist Den, at MoPOP’s Sky Church. 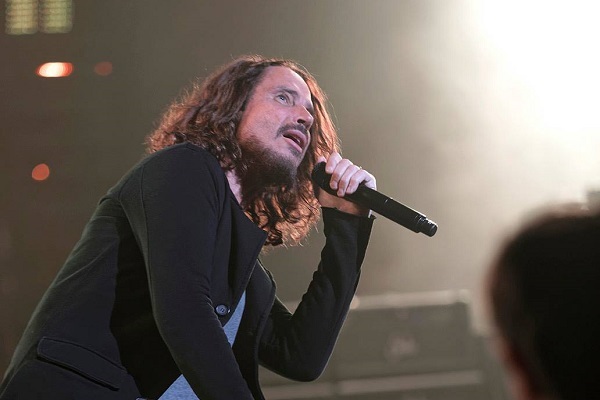 Cornell passed away on on May 18, 2017, following a concert at The Fox Theatre in Detroit. He was discovered unresponsive in his Detroit hotel room, and his death was later ruled as a suicide.